Companies are under attack! Not from rising energy costs, foreign competition, or regulatory pressure, but from a steady decrease in employee health & happiness. The "weight" of this problem is falling on the bottom lines of companies in the form of rapidly increasing costs and rapidly decreasing employee productivity and engagement. 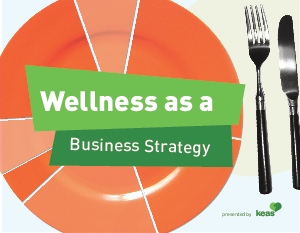 Once thought to be an involuntary benefit, Employee Wellness is now being discussed in corporate board rooms all over the world as a critical element of business strategy. HR is expected to understand and manage the risk associated with this problem and create a sustainability strategy that includes health & happiness. This eBook discusses the economics of this fight and how the war talent is now happening in the gym and cafeteria.